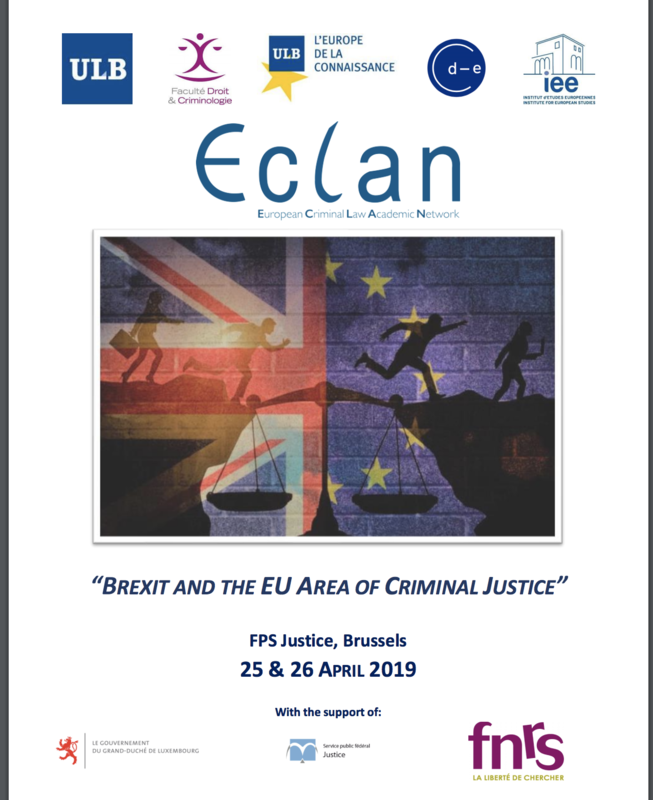 For its 15th Annual Conference, which will take place in Brussels on April 25 and 26, 2019, the European Criminal Law Academic Network (ECLAN) has decided to focus on Brexit and its consequences for the EU area of criminal justice. Would the UK be able to continue its close cooperation in criminal matters with the EU? Under which modalities? Would it be able to benefit from the support of Europol or Eurojust? Or what would be the consequences and challenges to address for the EU member states and actors? The impact on the EU criminal justice actors (session 3). Eminent speakers will participate, including practitioners, researchers and stakeholders engaged in European Criminal Law, coming from the United Kingdom, other EU Member States and the EU institutions and agencies. Should you wish to attend the conference, please register here. Registration is free but mandatory.